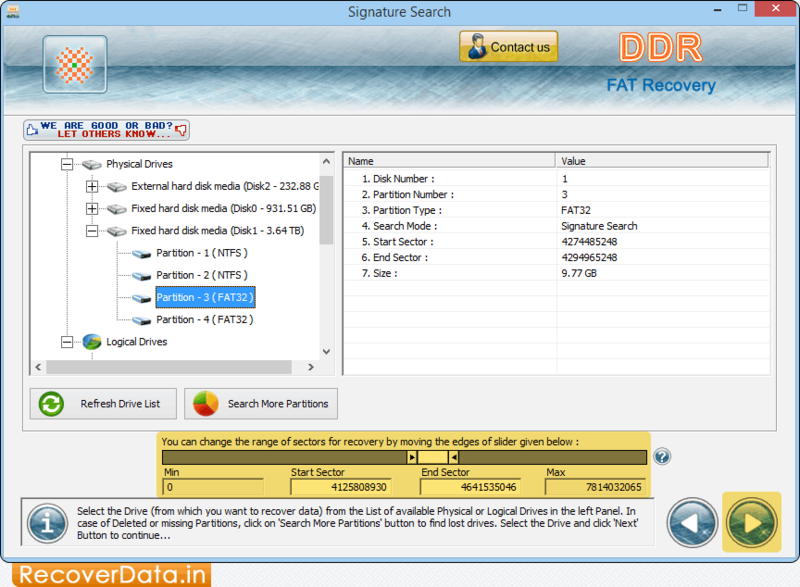 Select Partition Drive and then select the range of sectors for data recovery. 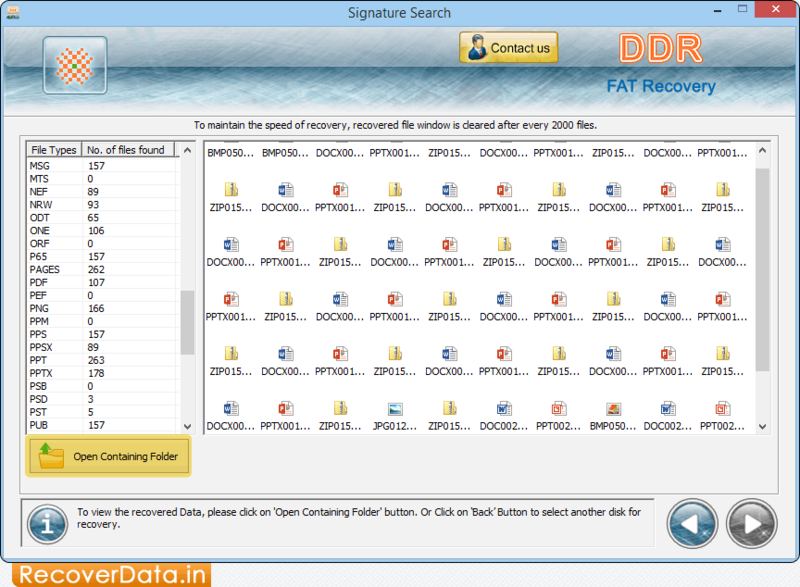 Now click on 'Next' button. 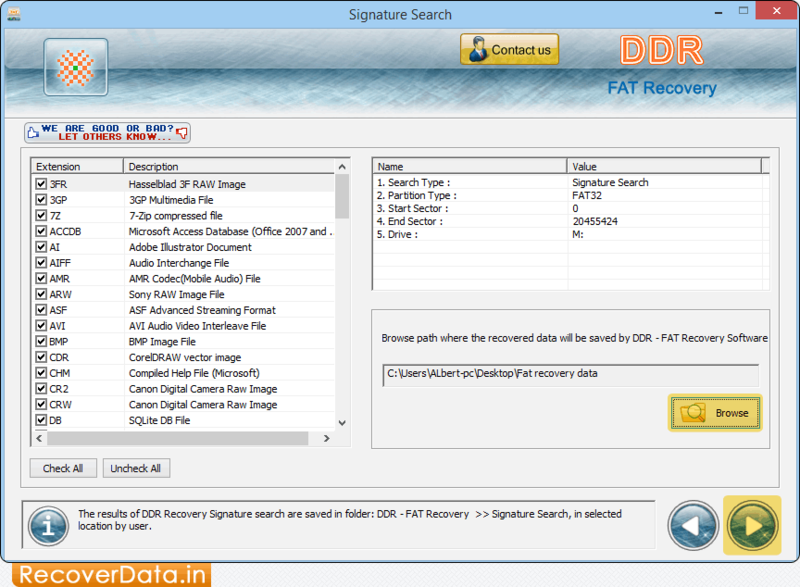 Browse path where the recovered data will be saved by FAT Recovery Software. 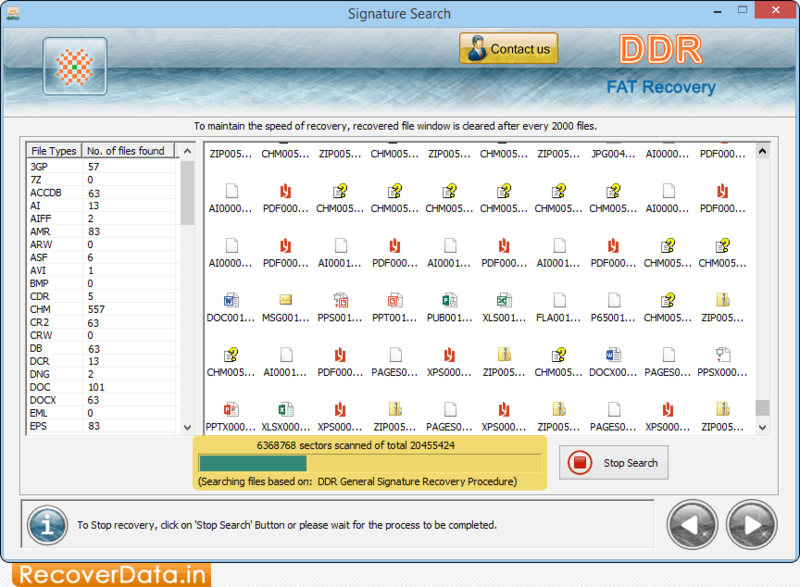 Progress bar to view status of the disk scanning process based on DDR General Signature Recovery Procedure.